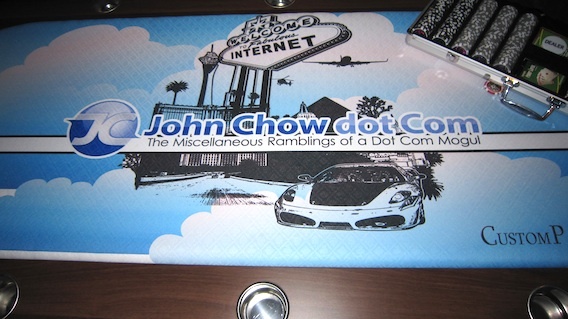 I thought I would post a few photos of my new custom made John Chow dot Com poker table. I actually had the table for a week now but only recently assembled it. 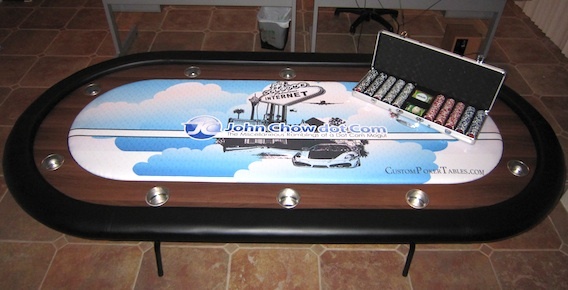 The table was made by Custom Poker Tables and they did a great job on it. The 10-player table started life as the $579 CPT Professional Table. The custom graphics on the playing surface cost an additional $320. 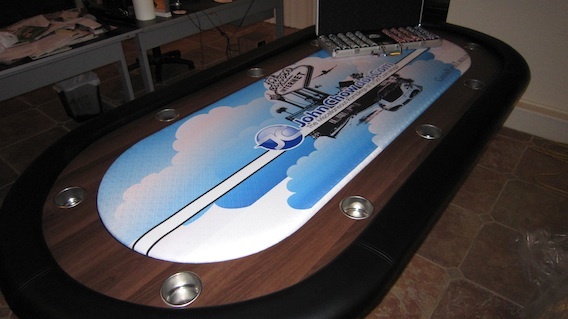 Custom Poker Tables has tables ranging in price from $479 to $2,619. 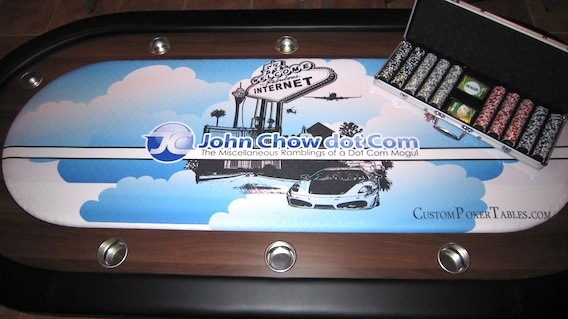 My new poker table comes with two playing surfaces – the custom surface featuring my new logo and the standard black surface. Fully assembled, the table weigh 125lbs. However, the shipping weight was 225lbs because it came in a crate. That’s why it was sitting in my garage for a week. I had to wait until a few members of the Dot Com crew came over to help me move it into the game room! We are now planning the first Dot Com Poker Night. I want to thank Custom Poker Tables for doing such a great job on my table. The craftsmanship is top notch and the work on the graphics exceeded my expectations. 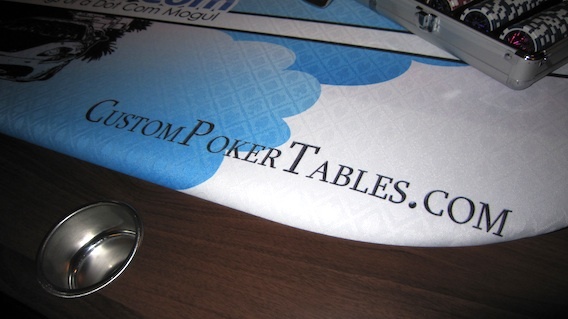 If you’re a player looking for a great poker table, give Custom Poker Tables a call.